Have you had that feeling that when your doing something, you stop and say that I have known that this had happen before? 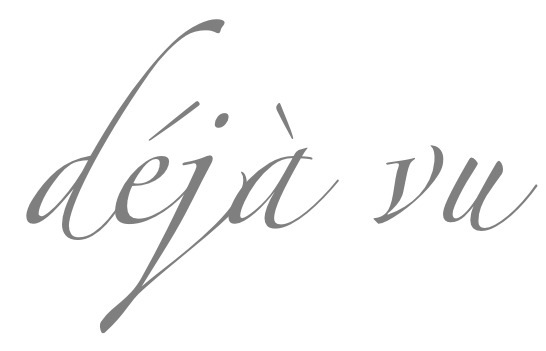 They say it's De Ja vu, a french word for something that you have already seen or felt. It's a strong sensation that you have already done or been in this same situation or familiarity of things that should not have been. This feeling and emotions is something very complex and different studies have been made for this kind of phenomenon. Studies shows that it was a case related to seizure , psychiatrists believes that probably your brain is making a mistakes and was not matching or in other words, failing. Other's point of views shows that this kind is created by your own illusion and fantasy or perhaps something from your past life or your subconscious mind telling you that this event happen on your previous life. The feeling of de ja vu is different from psychic powers wherein people with this so called ability has the capacity or ability to perceive things or events. De ja vu on other's point of view perceived that this event is your own illusion and perhaps it was something you wished to happen. Although other's believe that this feeling is normal and can happen to anyone, the strong emotion can still create wild experience for many. What if we can make this phenomenon help prevent the future, i guess that would be another story to tell.